Shantel Tallow and Paul Conley often pick saskatoons outside the city, or source the berries from a local grower at the farmers' market. Some are dried for pemmican, others go into the pie Shantel's aunt taught her how to make. 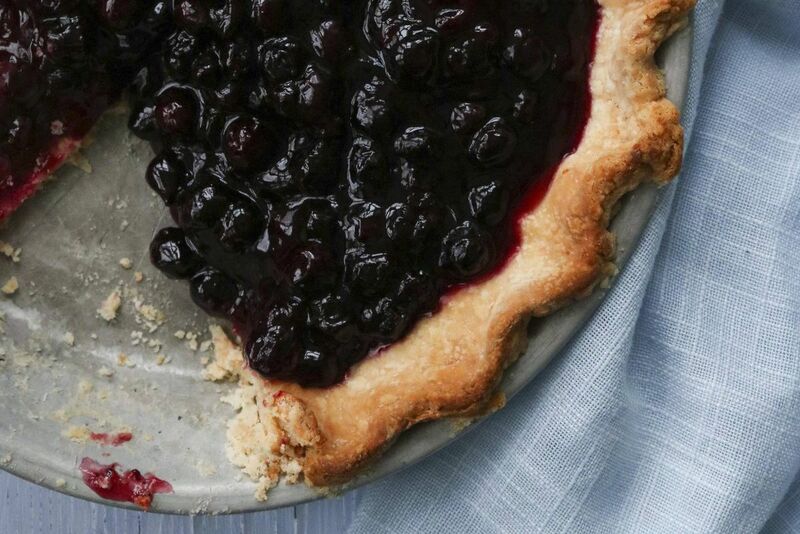 Roll out the pastry to a 10-inch circle and fit into a pie plate. Trim the overhang and crimp the edges. Line with foil or parchment, fill with dry beans or pie weights and bake for 15 minutes, or until golden around the edge. Remove the pie weights and bake for another 5-7 minutes, until the bottom of the crust is pale golden. Meanwhile, combine all the filling ingredients in a large saucepan, bring to a simmer and cook for 5 minutes. Set aside to cool slightly, then pour into the baked shell. Cool completely or refrigerate until set before serving.